MilliporeSigma has opened its new M Lab Collaboration Center in Molsheim, France. The center is MilliporeSigma's first in Europe and ninth worldwide, providing biopharmaceutical manufacturers with a shared, exploratory environment where they can collaborate with company scientists and engineers to help solve their challenges and accelerate development and production of new therapies. 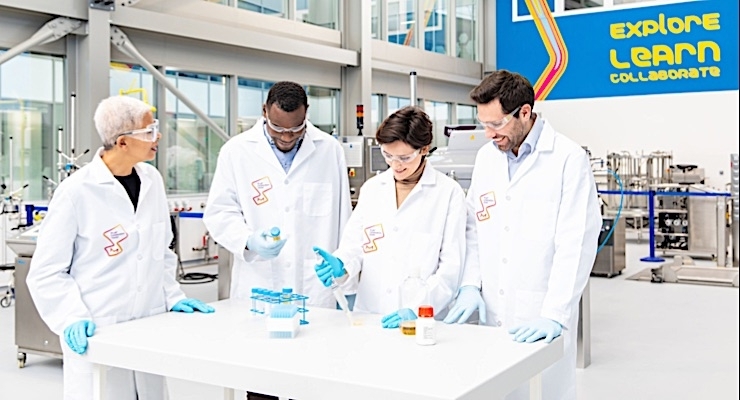 "With the rapidly growing biopharma industry in Europe and demand for cost-effective therapies worldwide, customers will benefit from our expertise to develop processes for manufacturing drugs faster, safer and more effectively," said Udit Batra, chief executive officer, MilliporeSigma. "Our investment will accelerate the future growth of EMEA's biopharmaceutical industry." The company invested $11 million in the 43,000 sq.-ft. M Lab Collaboration Center to provide customers with a fully equipped, non-GMP pilot and bench scale lab and meeting center to help address processing development challenges without impacting their production line. The company also has M Lab Collaboration Centers in the U.S., Brazil, China, South Korea, Singapore, Japan and India.